A dual threat for target shooting and pest control. Blast targets in the backyard, then switch out the barrel and hunt pesky pests and other critters. 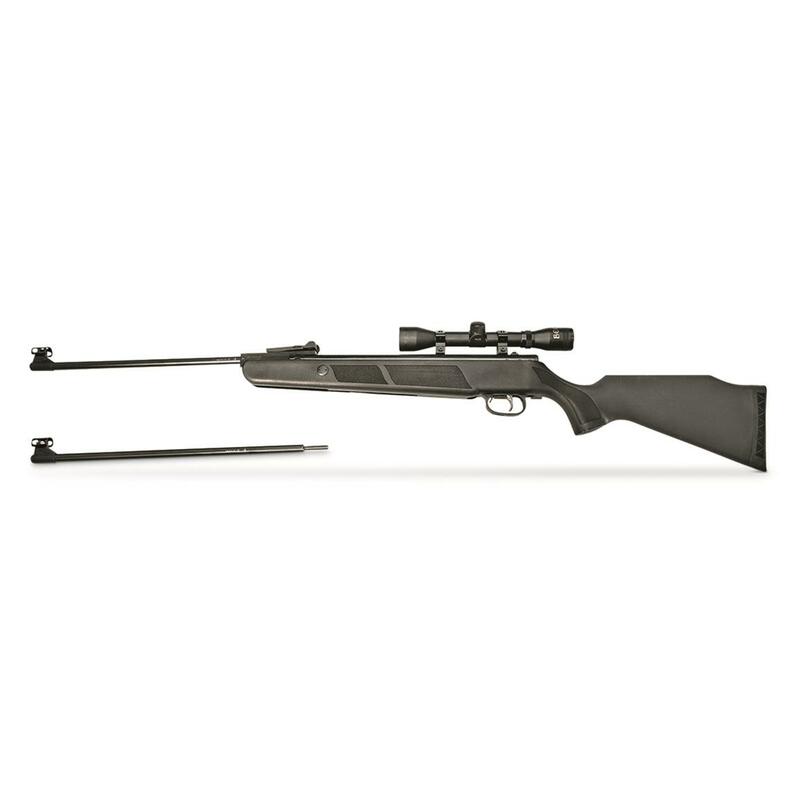 The Beeman® Grizzly X2 Dual Caliber Air Rifle includes two interchangeable blued barrels that allow you to shoot .177 or .22 pellets. Dependable spring-piston power plant packs a punch, zinging pellets downrange at up to 1,000 FPS. 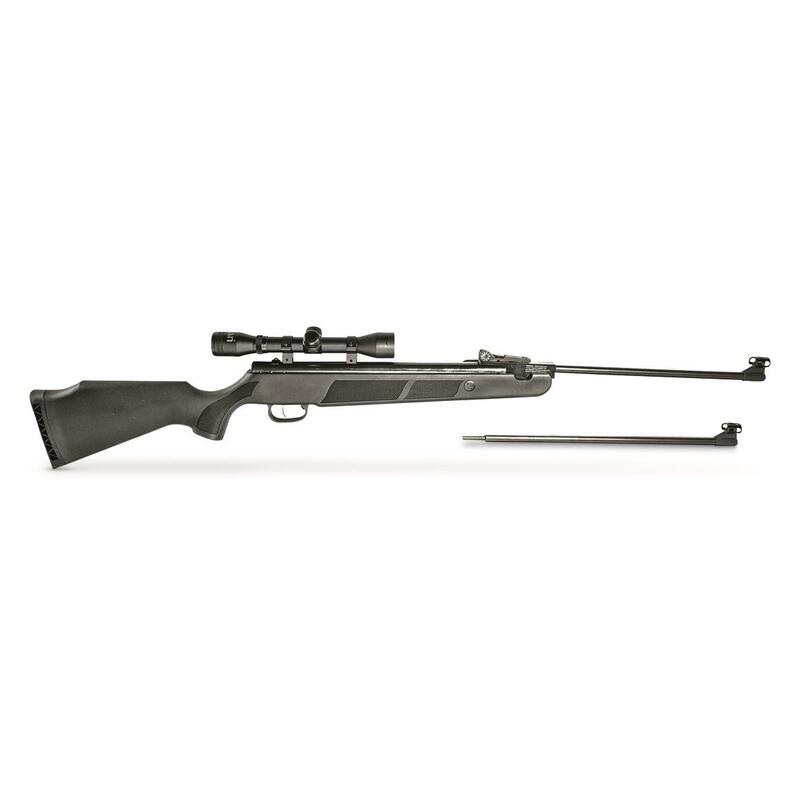 Plus, it comes with a 4x32mm scope that provides dead-on accuracy every time you pull the trigger.